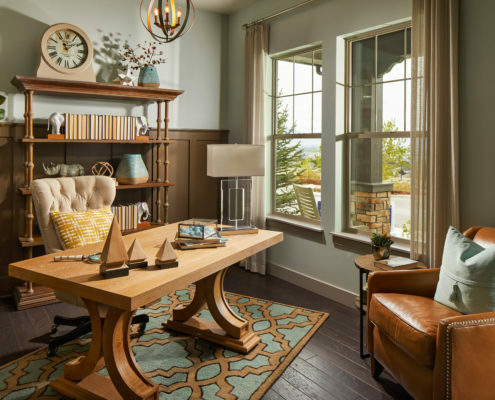 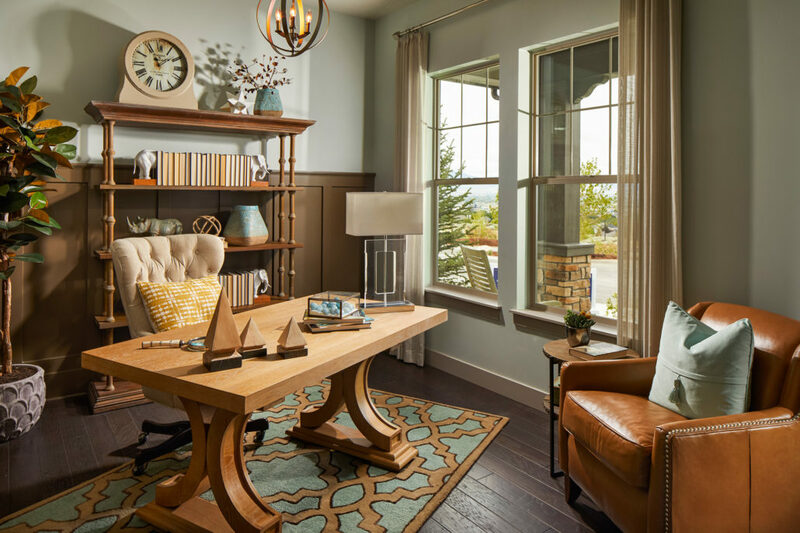 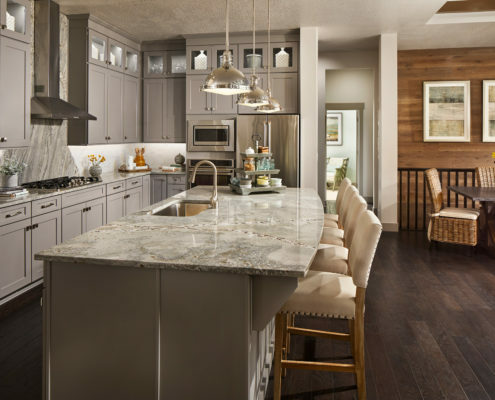 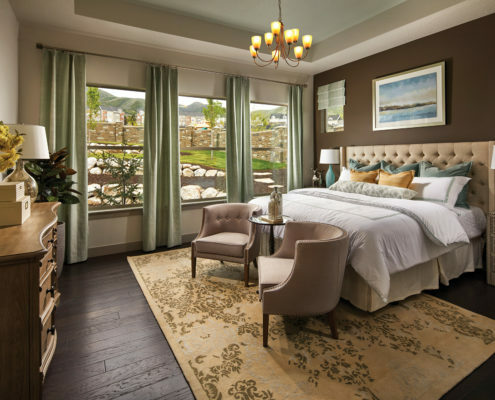 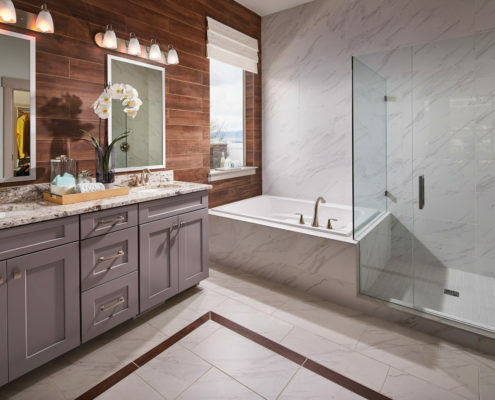 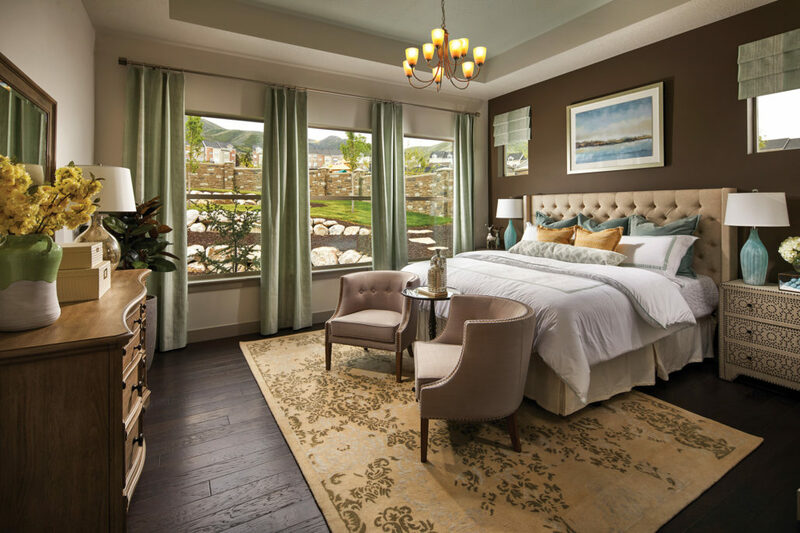 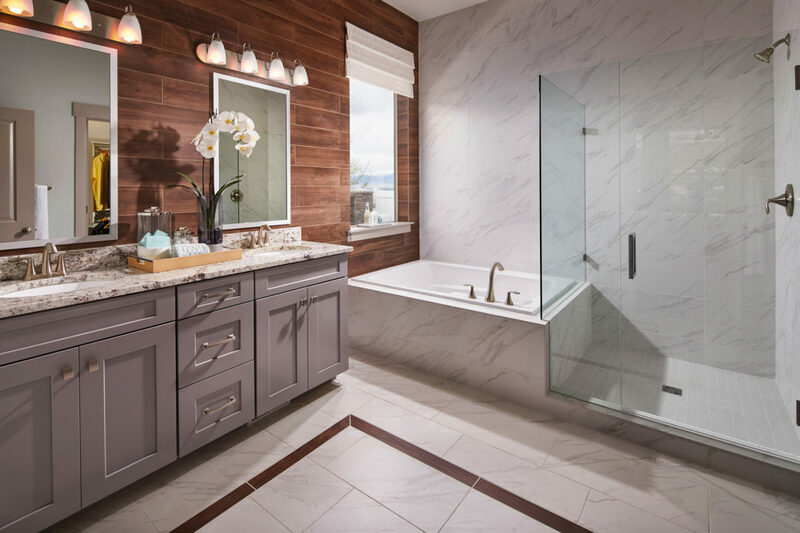 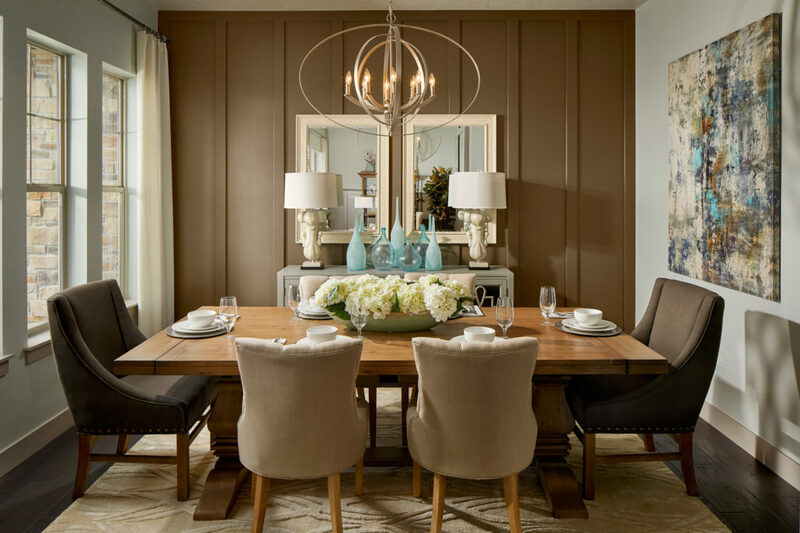 This premier East Bench neighborhood in Utah near Salt Lake City is designed to enhance the feeling of community and maximize the outdoor amenities for the mature family with older children. 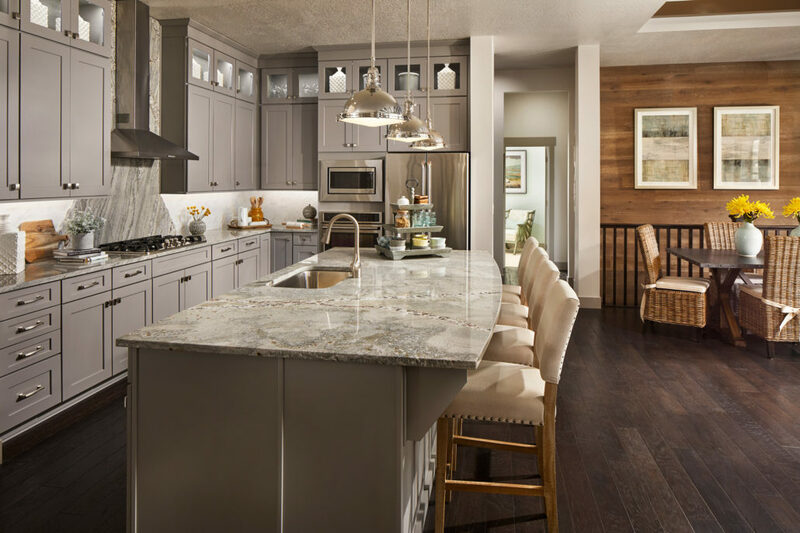 The high-end finishes in this model are amazing. 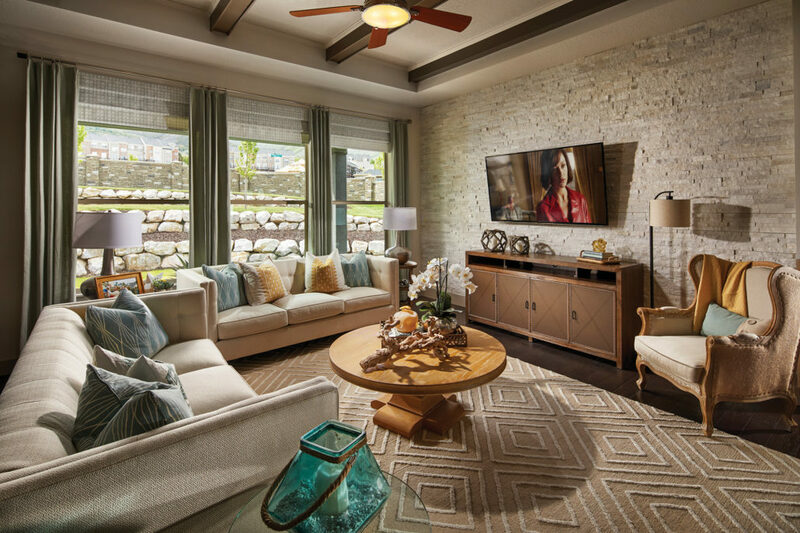 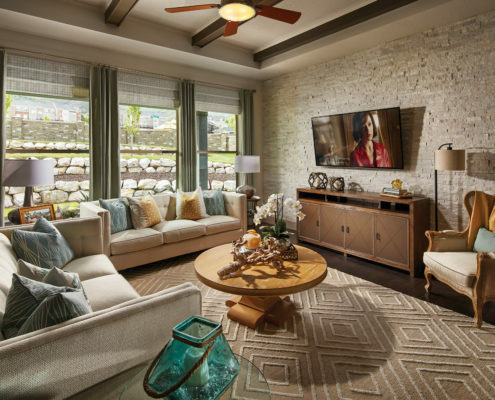 Stacked stone in the family room provides texture and interest, while the wood wall that flanks the stairs tie in the first floor to the basement and adds a rich warmth. 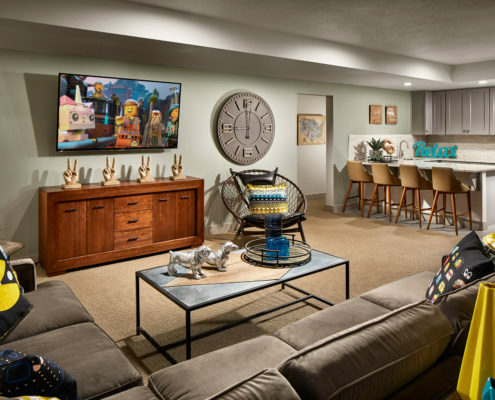 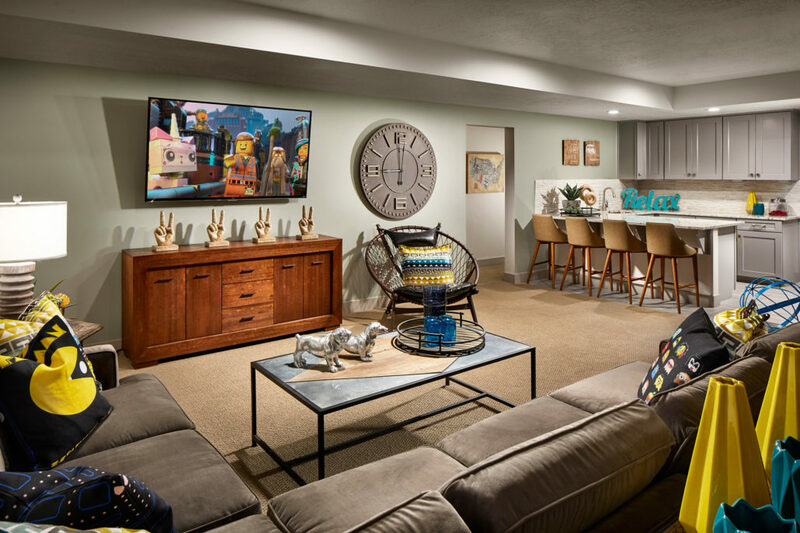 The family space in the basement stands out and incorporates multiple functions; a TV area with large sectional and fun pillows for movie watching, and a gaming area with an arcade and a score board for family games.